Dreamy moments and moments that have been dreamed of for years should be captured exquisitely like the ones below. 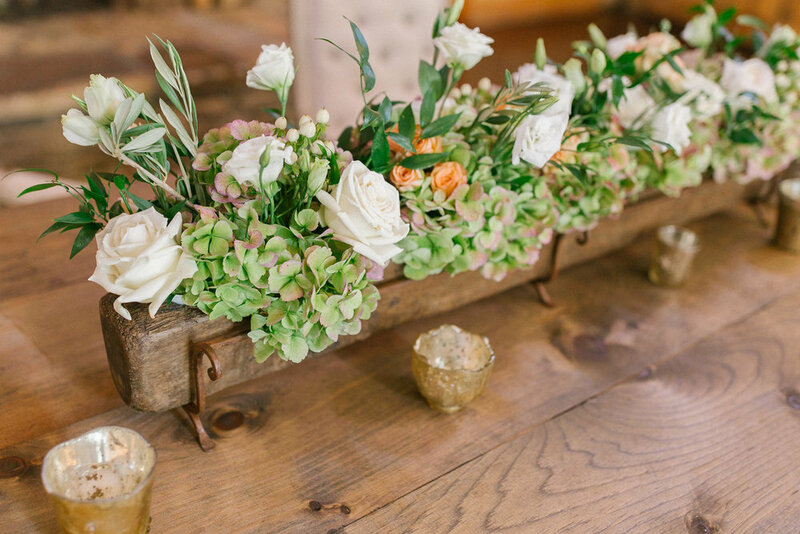 You can almost hear the giggles, feel the love, smell the blooms and belong as a guest. We have gotten to know the art of Hilary Leah and her sweet Jeremiah over the years- they were actually one of our couples. Her captures are timeless, captivating and breathtaking. Here are a few from the love story of Jenna + Patrick that share a glimpse into their amazing day. 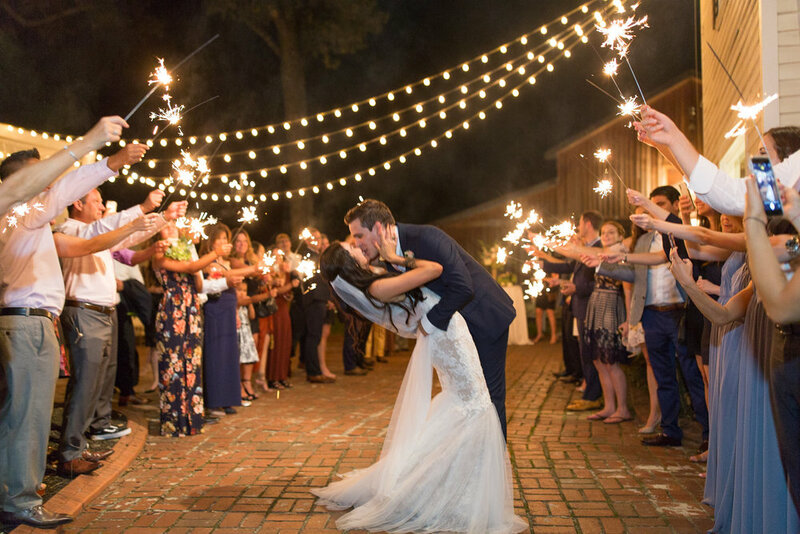 My advice to future brides would be to not leave your husband or wife’s side throughout the reception so that you both can share the same memories! 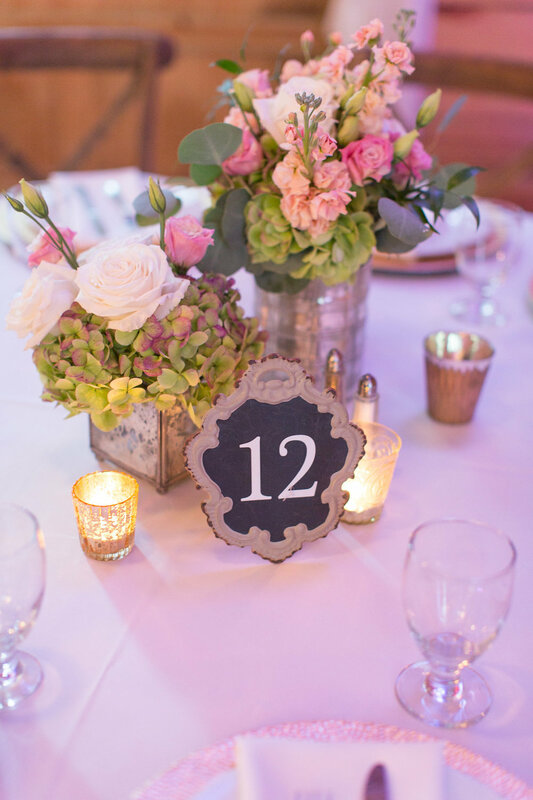 Jenna’s floral signature was a classic romantic gathering that reflected Jenna’s personality. It was a collection of both tradition, grace and whimsy. It was one of the most fragrant collections we can remember with it’s sweet White O Hara and Playa Blanca garden roses, double stock, lisianthus, dancing eucalyptus and exquisitely detailed antique hydrangea. It was finished with hand dyed silk in an eggshell blush. 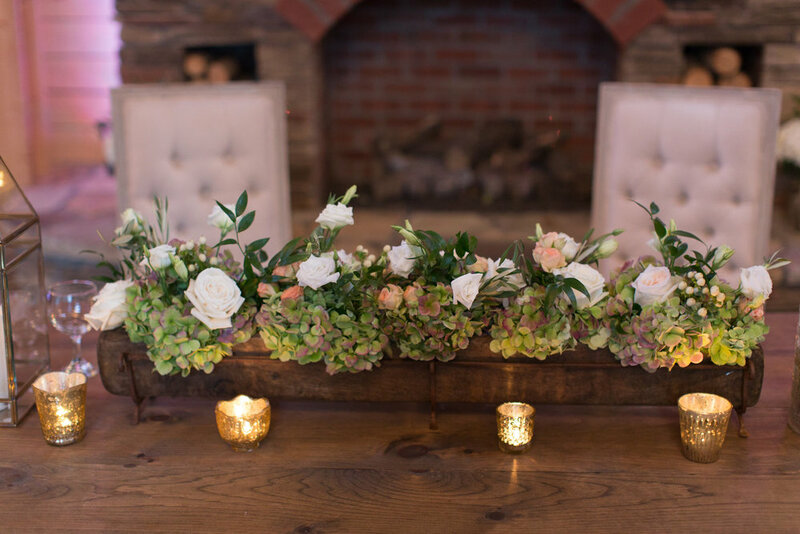 Her bestie squad had layers of blush, soft peach and cream garden roses, delicate garden spray roses, soft pink lisianthus, and antique hydrangea with spilling eucalyptus. It’s now time for this groom to have a sweet moment with his bride. And be celebrated with their friends and family by their side. This was truly going to be a day to be celebrated with great joy and laughter. This is truly a phenomenal setting. The Wheeler House is an incredibly beautiful property that feels as though you are stepping back into time. It is simply lovely. 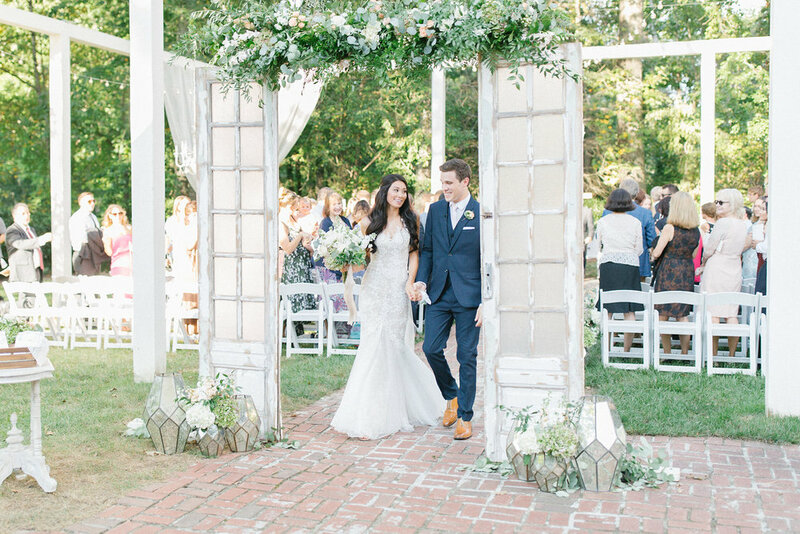 The outdoor ceremony area is a draped arbor. Jenna’s much anticipated walk to Patrick was perfectly framed by Miss Milly’s vintage doors to give a dramatic start to her path. It was spilling with textured greenery, dancing orchids. blush stock and garden spray roses. Not only did it serve as a welcoming entrance, but the guests enjoyed many photo opportunities throughout the evening with it framing their memories of the amazing celebration. It is one of our personal favorite pieces in their collection of pretties. And well, their desert table was oh, so sweet! 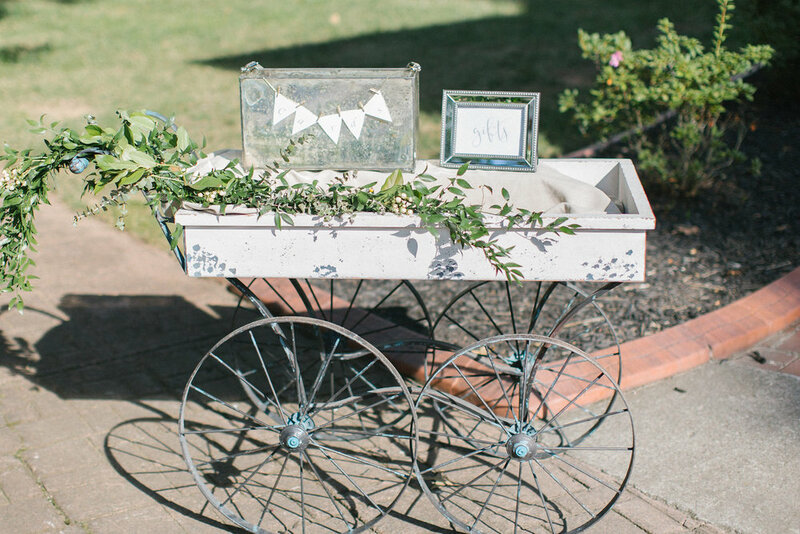 They truly had an incredible evening, full of sweet surprises…..face painting…..and dreamy first dances. One incredibly #happybride and a lifetime of growing together side by side. Never stop laughing, creating fun, being a good sport, encouraging each other and sharing kisses that make the other melt. my favorite moment of the whole day, walking down the aisle, while it was pouring down rain outside, and seeing Gregory at the end of it, knowing that I’d get to spend the rest of my life with him. The day felt like it went in slow motion and light speed simultaneously. Looking back at all of the time, energy and stress that went into planning our day, the end result made it more than worth it. Christmas is full of tradition, love, and joy. This Christmas was extra special for Avery + Carter. While they had always had special Christmas dates that were well planned by Carter. This Christmas date was one for the books. 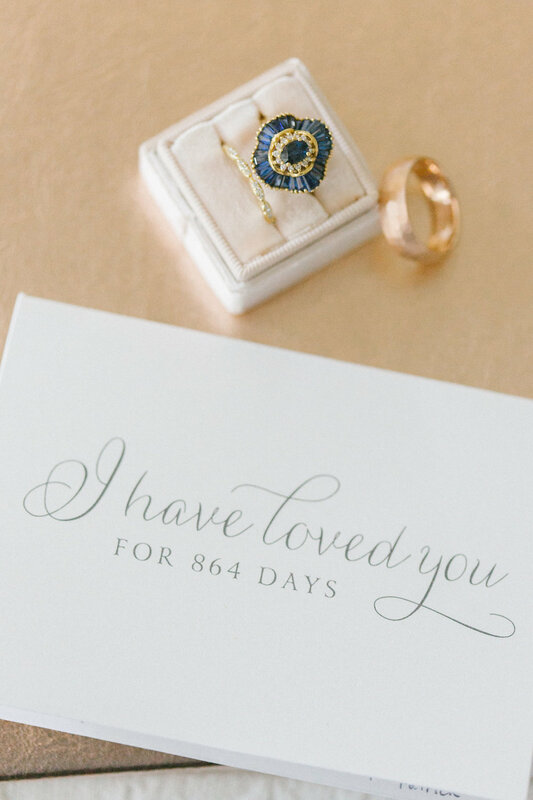 When I first started planning my wedding, the details couldn’t have mattered less to me. But on the day of, they were some of the highlights of the day! A wedding is so incredibly special because of the commitment that you are making and also the people who have gathered to witness it. 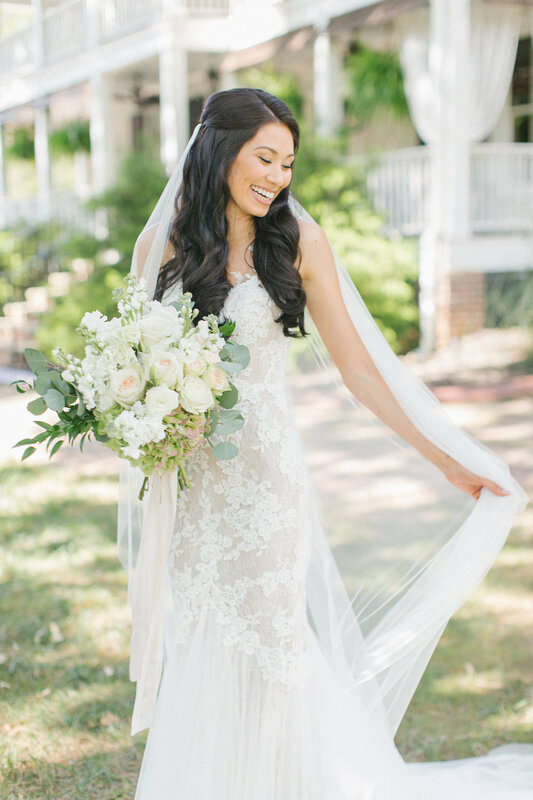 Meredith + Stephen: You Had Me at Wahoo! From the venue to the flowers - it was more than I could have ever dreamed. I really wanted to keep my wedding simple, neutral, and filled with lots of greenery, so getting married in a quaint garden room was the perfect backdrop. We’ve all heard of puppy love, but this is one sweet story of just that. David met Emily while walking on the Beltline. She said she was used to being stopped so people could love on her adorable dog, but this time she was stopped in her tracked when David asked her to lunch. He shared that it was her smile that he fell in love with. We still do. 30 years is only the beginning. The sequel will be the best yet. We are often present when the First Look is taking place. 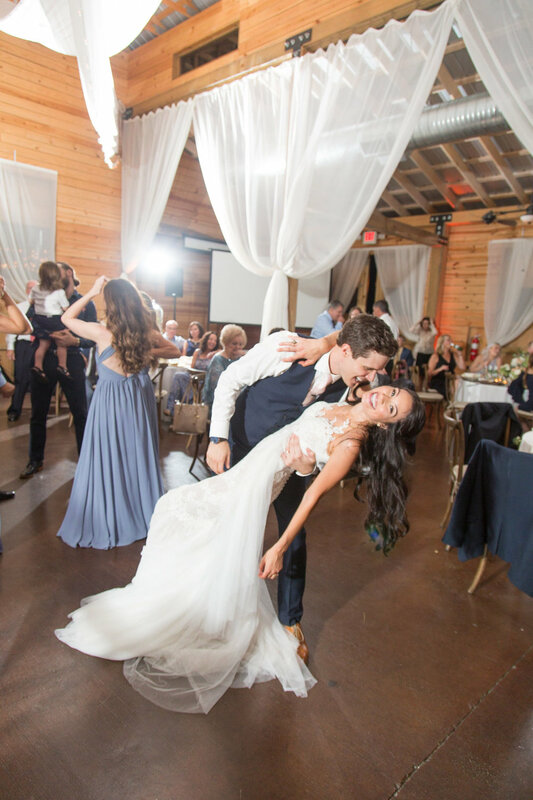 It is actually one of our favorite moments for our couples. It is a time when the groom gets to see his bride for the first time without it being diluted by the guests. A time when sweet words can be shared. 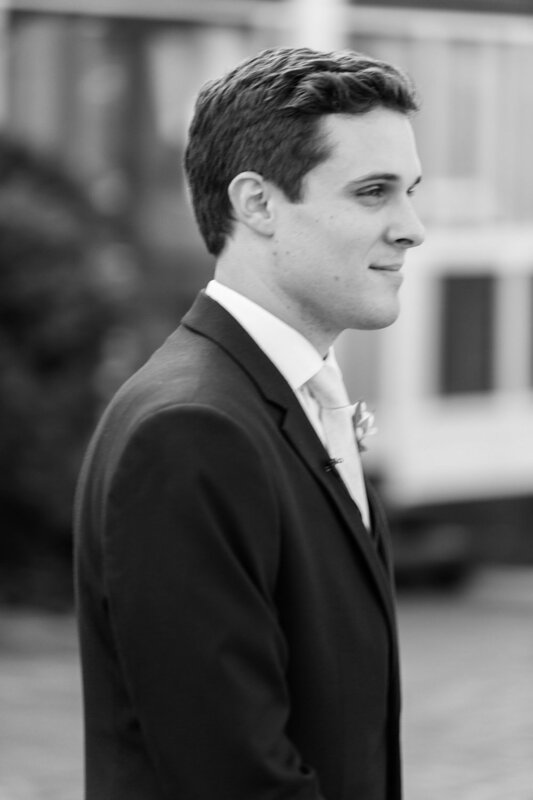 A time when the groom can have a glimpse of his bride, and when she gets to the aisle to walk to him, his thoughts can be, "wait until you see my bride, she is breathtaking!" But this day was different. Claire Diana (another favorite friendor) came to us as we were about to leave. 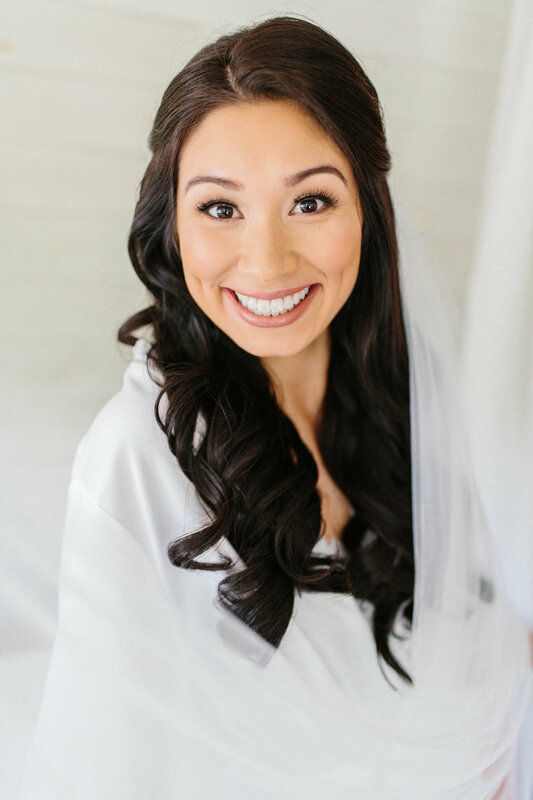 She shared with us that Ashley had a surprise for us and requested that we wait where we were.....Ashley as exquisite as ever, blessed us with a vendor first look! We were all incredibly honored and overjoyed. (let's just say we were not picture perfect after installing the ceremony, but the moment was!) 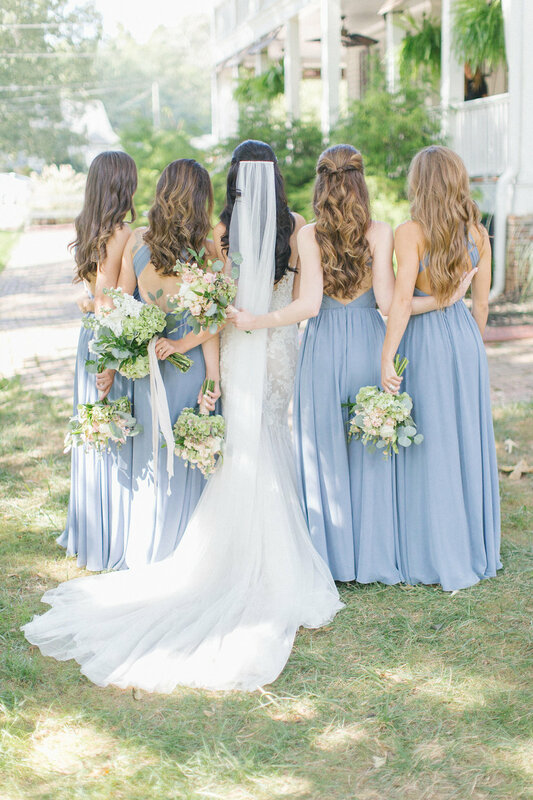 Next up, the reveal for her besties and her GROOM! Greg and Stephanie enjoyed their day surrounded by their amazing friends. We love seeing how those who know us best add so much joy to the day. Marisa and Travis. They are resilient. 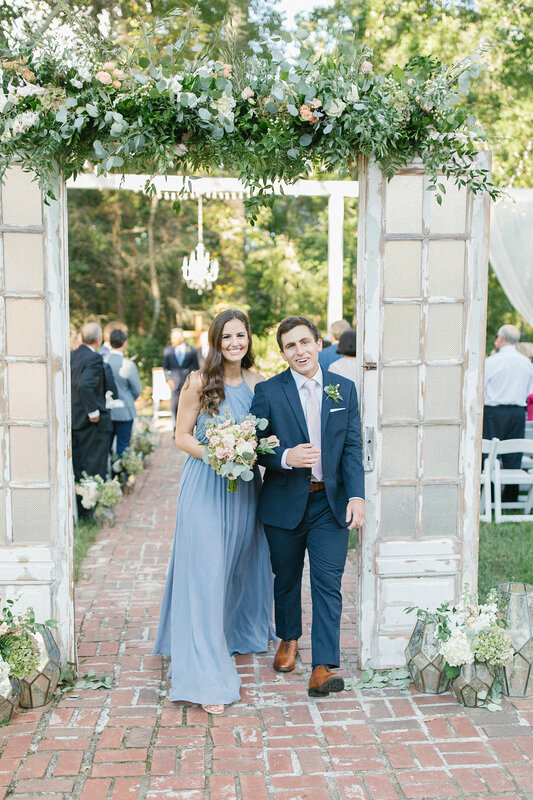 These two dreamed of their vows being exchanged surrounded by the beautiful Blue RIdge Mountains in a romantic outdoor celebration. The day week was stormy, but that didn't stop one amazing being showered with a night dripping in pretty. 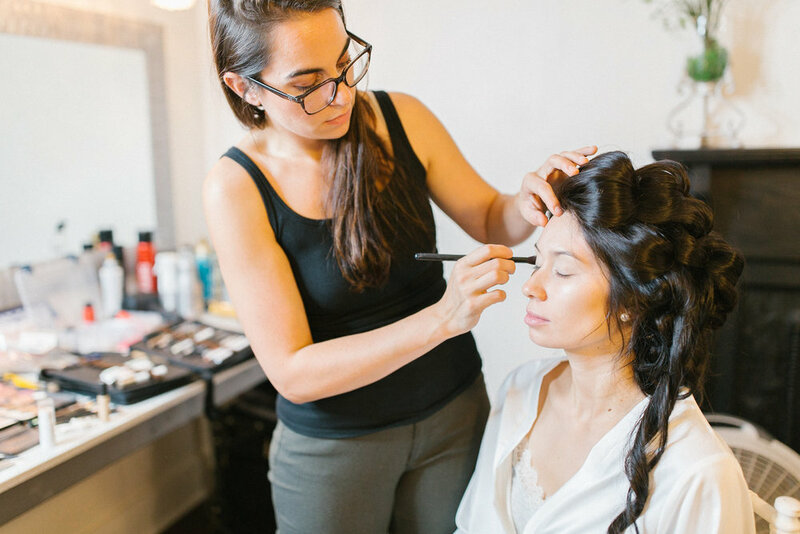 Because every single bride deserves to awaken her wedding day dream. A wedding should reflect the couple's personality. Courtney and Jarrett were fun, adventurous, and loved boldly. 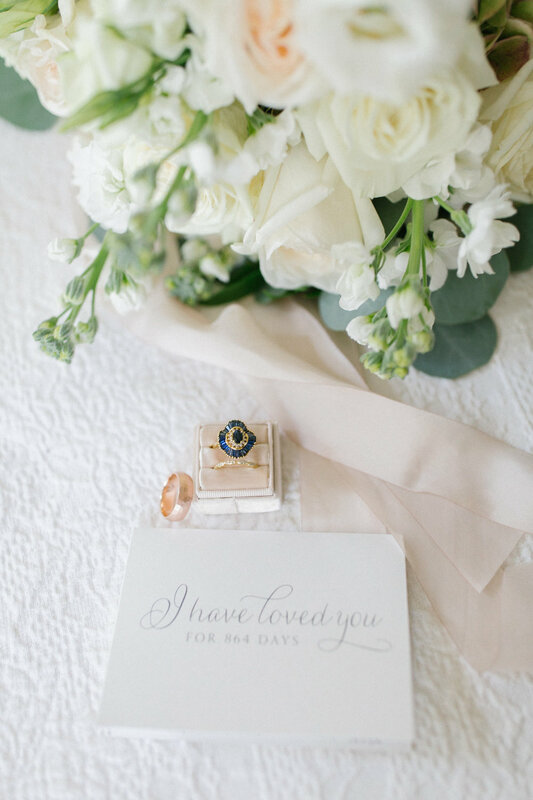 Their blooms were exquisitely colored to capture the radiance of their love story. Press Pause Often....moments like these are worth soaking in. It's more than just a hashtag. Don't you just love stolen moments. Those moments that simply make you gasp with warm emotion, and make your heart flutter like butterflies. Here are some of Allison's favorite moments of her wedding day as a great reminder to #presspauseoften. It is so incredibly special for the groom to see his bride for the first time not diluted with the guests. A time when the bride and groom are intimately captured with each other. The surprise is still there, but having that time before blesses the couple with a calmness of emotion just before sharing their vows.